The most widely played and popular mobile game PUBG is closing registrations for the PUBG Mobile Campus Championship soon. The last date for registrations of the completion, which started on 7 September, will end on 21 September. After the registrations close, players can checking in from 22 to 23 September, and the first 10,000 teams to check-in will be qualified for the online qualifier. The competition also has an attractive total prize pool of Rs 50 lakhs, wherein the first place winners will get Rs 15 lakhs, second place winners Rs 5 lakhs and third place winners Rs 3 lakhs. There is a cash price for winners up to the tenth place. Oppo Phones worth Rs 13,000 will also be given away to winners. Due to the stiff competition, the mobile game faces from established games like Fortnite and Call of Duty Black Ops 4 that will be released next month, PUBG developers constantly announce competitions and give aways to retain its existing gamer base as well as invite new players. Recently, PUBG Mobile has announced that it would be giving away Samsung Galaxy S9 phones to selected players. “We’re giving away a bunch of Samsung Galaxy S9 Phones from Sep 17 to 30 to our pubgmobile fans! Just tune in to our official Youtube Channel between EST 20:00-22:00 during those dates! Win one Sanhok custom room game to get the phone. 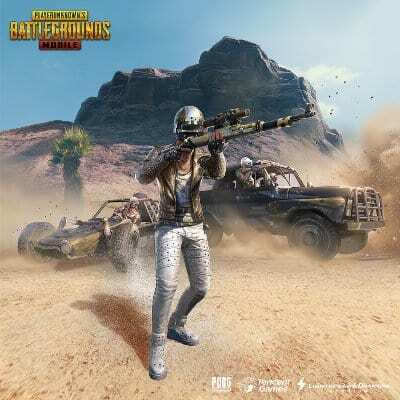 Good luck!,” says a tweet from the official PUBG account. This would mean Indian players have to tune in from 5:30 to 8:30 am to have a chance to win the Galaxy S9. PUBG continues to dominate the mobile market with more than 20 million daily active users that too without including players in Japan, Korea and China. In Season 2, the previous 14-week period of games, more than 130 million players from more than 200 countries earned themselves 864,425,575 chicken dinners, said a statistics announced by PUBG last week. India is one of the top three countries that plays the game, and PUBG is the number one free game on iOS and one of the highest grossing games on Android as of now. PUBG Mobile has also added Sanhok Maps in its latest update, which also includes new weapons and vehicles like the Flare Gun, QBZ, Muscle Car and Bulletproof UAZ. Anti-cheating measures like improved recognition for cheating plug-ins and added report buttons to spectator mode, basic information, and results screens have also been added. The update also includes gameplay improvements in the chat system, clan rankings, air drop items, friends list and so on. PUBG Mobile Campus Championship Registrations End Soon 4 out of 5 based on 1 ratings. 1 user reviews. PUBG vs Call of Duty Black Ops 4: Who Will Win the Internet Gaming Battle?